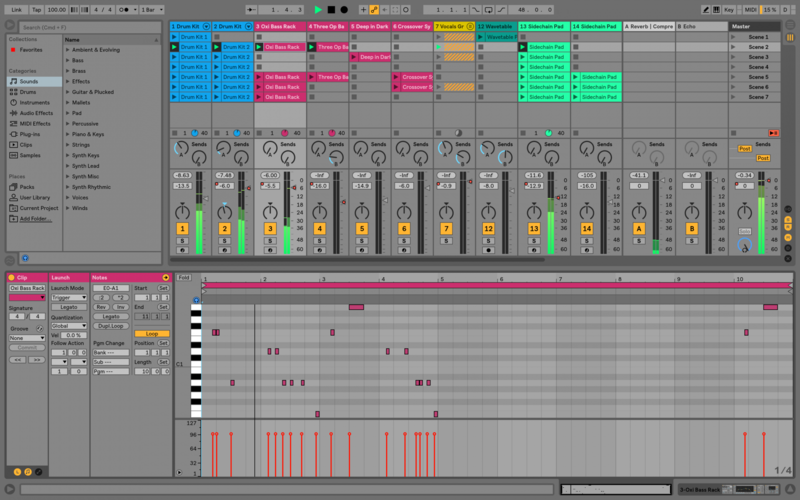 Top elektroniske musikproducers i hele verden bruger Ableton Live. Live var oprindeligt et stykke musiksoftware der var designet til live brug af live musikere, men har siden hen udviklet sig til et stykke musiksoftware, der kan bruges til både indspilning, mixing og mastering. 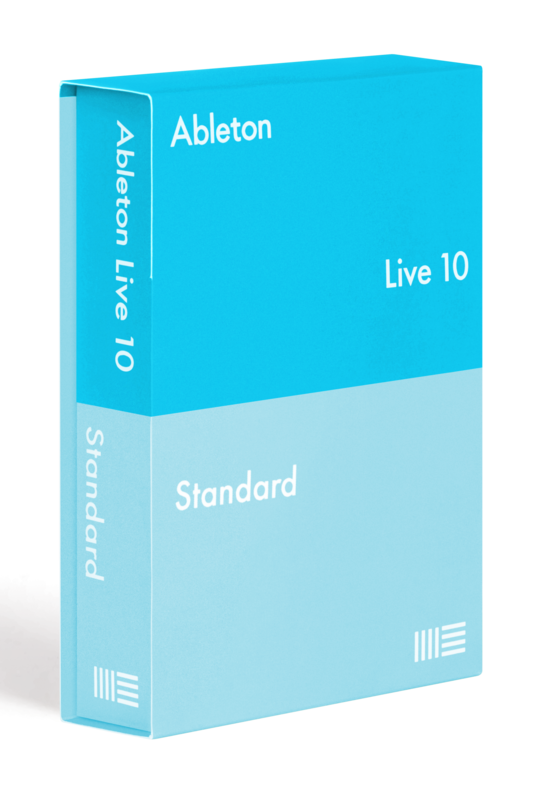 Ableton Live 10 er et ekstremt brugervenligt program og giver dig muligheden for at bruge det live til koncerter og performances. Live er et stykke brilliant software til at kreerer musikalske ideer og lave dem om til komplette sange. Serato Scratch Live integrationThe Bridge - DJ in Serato Scratch Live with a synced Ableton Live set. 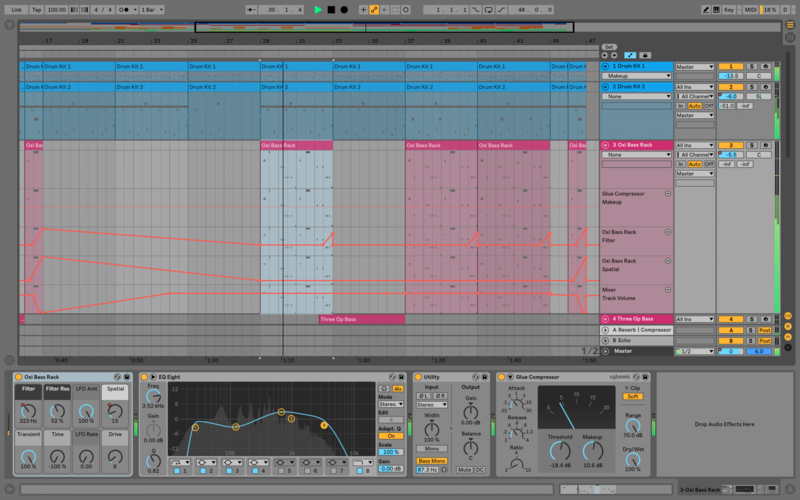 Edit your Serato Scratch Live mixes in Ableton Live. BomblasticBomblastic is a Hip Hop drum kits library featuring 50 kits developed in conjunction with Uppercussion. Get punchy kicks, cracking snares, crisp claps, powerful percussion, hi-hats, cymbals and more. The kits are especially designed for Hip Hop, Dubstep, R&B, Pop and Dance genres. Breakbeats by KutMasta KurtA set of vintage-sounding Hip Hop breaks, kits and one-shots from producer Kutmasta Kurt, who has worked with artists including Too $hort, Beastie Boys, Kool Keith, The Pharcyde, and more. 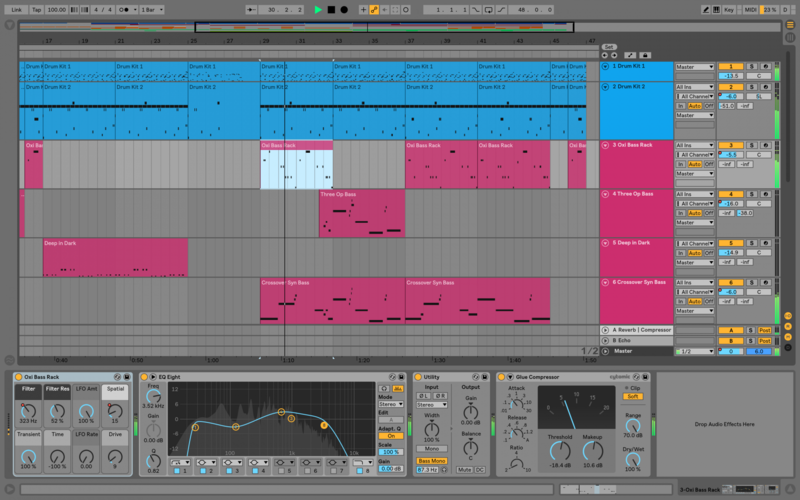 The breaks have been chopped up and MIDI sequenced, for flexible editing possibilities. Cyclic WavesA premium selection from sound designer Ron MacLeod, constructed using innovative processing tools from Cycling '74, the makers of Max. Includes drum loops, acoustic instrument hits, lush ambiences, and more for inspiring sonic sculpting. Digicussion 2A booster shot featuring even more pounding, crisp drum sounds from Uppercussion. Great for pounding electronic production, experimental sound design, and all kinds of rhythmic music. Drum MachinesA choice selection of classic drum machines, sampled to faithfully reproduce original sounds, plus a range of drum patterns and Live Clips. Includes samples of the Roland TR-808 and TR-909, LinnDrum, Oberheim DMX, Boss DR-55, and more. Grand PianoThe powerful expressiveness of a renowned concert grand in Live. Multiple articulations, sampled from a carefully prepared and programmed piano to capture the virtuosity of the classical grand piano sound. Guitars and BassA set of electric guitars and basses, expertly multisampled to cover different playing styles, velocities and articulations - from funky slap bass to gently strummed guitar chords. Konkrete BreaksA set of premium sounds from Soniccouture's Konkrete Drums libraries, plus MIDI Clips exclusively designed by six prominent London-based artists. Unlike traditional audio breaks, these MIDI breaks can easily be edited and reorganized by sound. Sound Objects LiteA unique collection of sampled objects typically found in a hardware store, including saw blades, joist hangers, metal pipes, ceramic tiles, and more. Vinyl ClassicsOver 400 loops and samples from Zero-G in a wide range of styles, including smooth '70s grooves, gritty hip hop and edgy, abstract weirdness. Designer DrumsSynthesized drums that demonstrate the versatility and quality of Ableton Live 9's instruments and effects. Digicussion 1A large synthetic drum library featuring dirty kicks, punchy snares, soft stabs, gritty textures, and more. Great for pounding electronic production, experimental sound design, and all kinds of rhythmic music. Loopmasters MixtapeA set of samples and loops from Loopmasters, from synthesized sound design to acoustic drums and founds sounds. Features content from Partners such as Puremagnetik and Soniccouture, and Loopmasters' artist Pack sounds from artists such as Digable Planets, Coldcut, Todd Terry, and more. Unnatural SelectionA collection of samples, Live Clips and Demo Songs from Puremagnetik. Includes "Construction Kits", which can be easily rearranged and combined to create complete tracks. Auto PanLFO-driven panning, tremolo and beat-synchronized chopping effects.